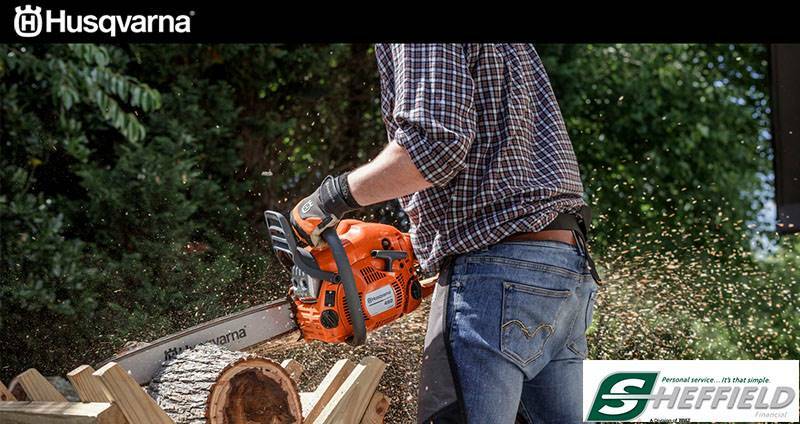 Ideal professional saw for logging and large removals. Lower weight and increased power offers an excellent power to weight ratio. It features our X-Torq® engine that provides high torque over a very wide rpm range, combined with low fuel consumption and low exhaust emission levels. AutoTune always gives optimal engine setting,Smart Start® provides easier starting and Air Injection makes the saw run longer between filter cleanings. HEAVY-DUTY AIR FILTER: This easily accessible filter is designed to handle the high volume of airflow specific to a large professional saw. OPTIMIZED SAW BODY: No protruding parts, a smooth underside, rounded starter cover and well-protected controls all make the saw easy to handle. IMPROVED HANDLE DESIGN: The rear handle is asymmetrically designed with comfort inserts for a more stable and less tiring grip. Excluding cutting equipment - 15 lb.